The multi-talented Deja Joy creates both knit and crochet patterns as part of Knit Picks' Independent Designer Partnership program, and is one of our most prolific contributors of crochet patterns, with a wide variety of fun colorwork accessories and functional projects. Welcome to Week 26 of our Clean & Crafty Free Pattern series - we're halfway through! To celebrate, we have one of the most unique ones I've ever seen - and I've seen a lot of dishcloth patterns. 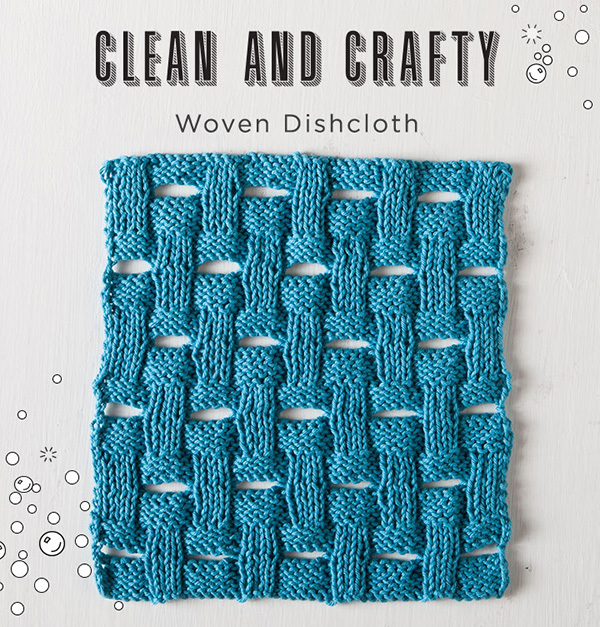 Check out the super fun free Woven Dishcloth pattern! 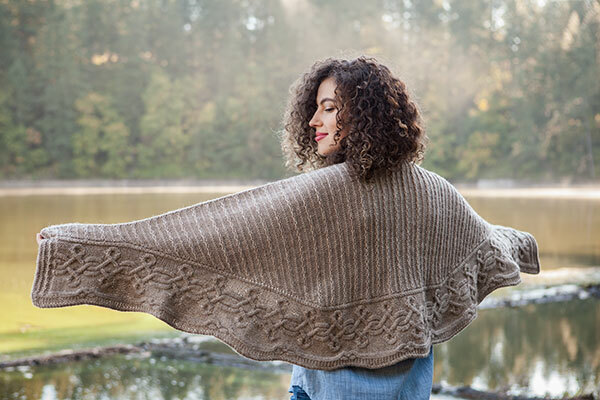 Rebekah Berkompas is one of the most versatile designers involved in Knit Picks' Independent Designer Partnership program, with a wide-ranging collection of knits, from practical kitchen patterns to booties of all sizes and lovely shawls. Luise O'Neill is one of the more prolific and successful designers that we at Knit Picks have the pleasure of working with. She is not only active in the Independent Designer Partnership program, but a regular contributor to our exclusive collections. This time of year, many of us crafters are looking for some brand new projects to start for ourselves! So I thought I'd do a round up of our best selling patterns from 2016, both to inspire you and to see what your fellow Knit Picks lovers worked on this year! #1 - Hue Shift Afghan This is, by far, our most popular pattern year after year! And it's easy to see why - it's a super fun knit (those squares are just addicting) and looks gorgeous. It's also easy to switch colors or yarns for your own personal preference. The original is in Brava Sport while I made a version in Mighty Stitch (which I LOVE). I've also seen versions in so many creative colorways - check out the projects on Ravelry! We have recently had some staff changes here at the Knit Picks office. It took a few months to find just the right person, but we are happy to introduce. . .me! I’m Daniel, and I am the new Administrative Assistant for Knit Picks. I’ll be around to do the fiddly, little things that no one else has the time (or inclination) for. In addition, I am the new Coordinator for our Independent Designer Partnership Program, so if you are one of our Independent Designers (or would like to be!) you’ll be working with me. Independent Designer Project Round Up Summer is definitely winding down... the days are shorter, the evenings a bit cooler, and the kids are back in school. Whether this makes you happy or sad, autumn is just around the corner. In preparation for the leaves turning colors and pumpkin-spice flavored everything, I thought I'd do a little round up of season shifting knit projects from Independent Designers to help us transition from lazy summer days to crisp fall nights. So picture this: You have one skein of our new Mighty Stitch Super Bulky yarn, because you just wanted to play with it. But what do you do with 44 yards of this lovely yarn? Well, we have the perfect quick knit for you - the Ski Bunny Headband, a new free pattern by Kimberly Golynskiy! Since I bring my lunch to work everyday, I was particularly excited when designer Faith Schmidt showed me her idea for a knitted lunch bag pattern, as an alternative to a boring brown bag. It was perfect - small enough to carry around comfortably but large enough to hold my lunch. And now we have it available for you for free - check out the Lovely Lunch Bag!